The very kind folks at SylvanSport (makers of the SylvanSport Go) asked us if we would help spread the word about their big contest this year. Of course how could we turn that down. 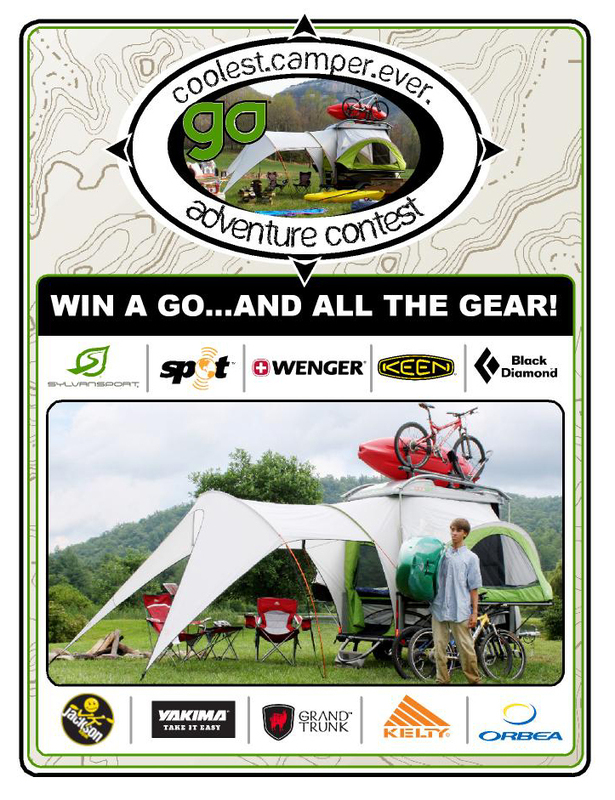 The SylvanSport Go is a pretty sweet looking trailer/camper combo, and to beat all, SylvanSport is a great outdoor company located just a hop, skip, and a jump across the Blue Ridge from us in Brevard, NC. If you remember they had the "Find The Go" contest last year and the year previous. Every few days they'd release a new set of coordinates to narrow down to the area the Go was located, along with a clue. At the end of 8 sets of clues they finally had one last set of coordinates and the clue, the first person to find it, won it. Last year it was somewhere in San Francisco. Unfortunately for us, there was no way to get out that far. This year though, the contest is different and is pretty much up for grabs for anyone. So here are all they details they asked us to share. What's your ultimate dream adventure? Surfing the sky-blue waves in Malibu? Kayaking the class five rapids of the Appalachian foothills? Star-gazing in Bryson Canyon? There's no better way to adventure than with your favorite gear in tow. A Swiss Army Knife of campers, the SylvanSport GO is the ultimate adventure aid. A GO can hold up to 10 kayaks or 5 bikes, or all your camping and a few surf boards, or an ATV and rock climbing gear, or…well, you get the idea! Detail your GO adventure in this online essay contest for bold and creative outdoor adventure junkies—that means YOU—and you just might win a chance to GO on the adventure of a lifetime. ENTER at our contest homepage, and in 400 words or less tell us what your epic plans are for a gear-heavy GO expedition AND how you would promote your adventure. Blogging? Stop-motion photo stream? Sky writing? Would you brag to your friends? How about your office, your ex or your grandma? Tell us! The three best essays win a hooked up gear package from our premier outdoors sports sponsors including Yakima, Kelty, Keen, Black Diamond, Wenger, Jackson Kayak, SPOT, Grand Trunk Goods, and Orbea AND... the GO itself for up to three months to live and document your adventure story. The most epic and well documented resulting adventure of the three finalists keeps the Go itself and bonus gear from our sponsors-That’s the GO, thousands of dollars worth of gear, major online publicity, and bragging rights. Contest ends May 31st 2012, but don't wait! Each week contestants are automatically entered into weekly giveaways for more great gear from our sponsors! The earlier you sign up, the more chances you have to win prizes. So what are you waiting for? 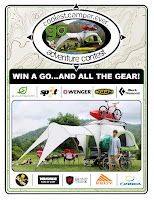 A contest that great, with all that gear, and a chance to live the adventure of a life time is just around the corner.